With the rainiest summer in history (sorry drought stricken folks) everyone I has had an ant problem this summer. Apparently this year’s ant colonies are particularly devious and tenacious because even after following all the steps in my post How to get Rid of Ants in a Pet and Kid Safe Natural Way some of those little jerks found a way back into my house, although not as many as before. 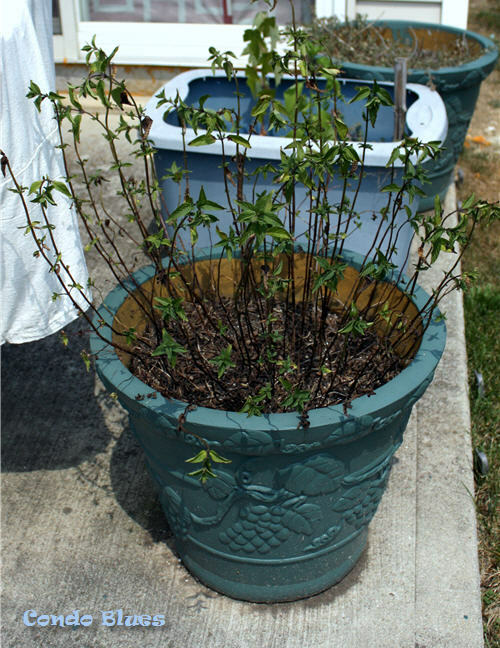 The last straw came when the concrete ants bit me because they though I was standing too close to the pot of chocolate mint they use as a summer party pad on my patio. We’ve been doing our own thing on the patio for years without bothering each other until now. What’s up with that ants? Why won’t you let us use the grill without annoying ant bites? 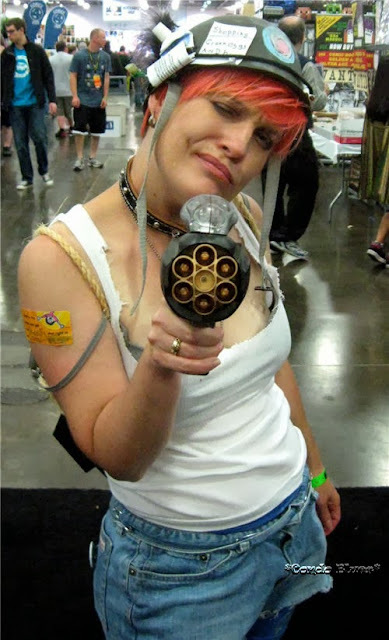 It is also a fun excuse to pull out my Tank Girl Halloween costume. I grabbed the bag of diatomaceous earth from the garage. I dumped a mound of it on the anthill, around the outside of the house and the inside walls of the attached garage. 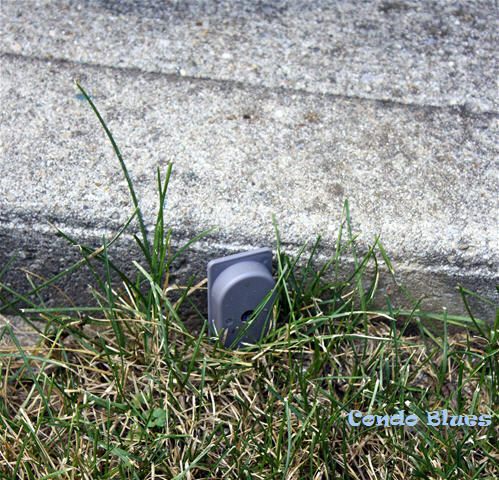 DE works as natural pest control but you have to reapply it after it rains. We wanted a more permanent solution. Mixing borax with something sweet to attract the ants like sugar, honey, or jam works well because the ants take it back to the colony and it kills the evil ant queen. But for the safety of our own curious dog who also like sweet people food, the dog next door and his two adorable human kids Husband and I ruled out borax ant killer. After much thought and research, I bought ant bait stakes at the home improvement store. They are self contained so the kids and dogs can’t accidentally eat the ant killer inside them. No ants in the house! No ants biting us on the patio! As much as we didn’t want to use a conventional pesticide it worked. Until a few days later when I peeked out the patio door at the chocolate mint. I am upset beyond words. I loved my chocolate mint! Our chocolate mint looked like someone covered it in weed killer. 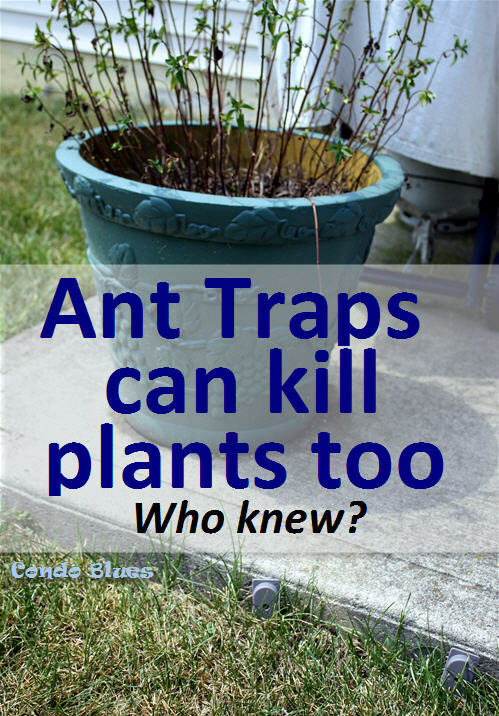 Husband and I were scratching our heads until we realized the ants must have also taken the ant poison from the traps to their ant buddies living in my potted plant. Ant killer can also plant killer. Who knew? Yetis are Real I Have Proof!